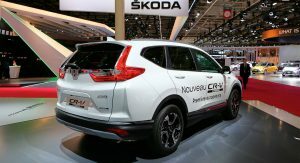 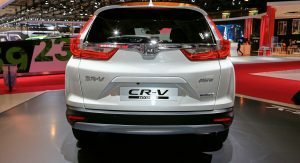 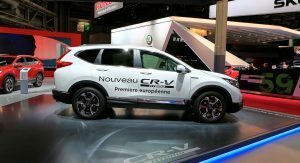 The new Honda CR-V Hybrid made its first European appearance at the Paris Auto Show, making it the first electrified Honda SUV to be offered in the region. 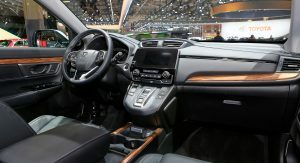 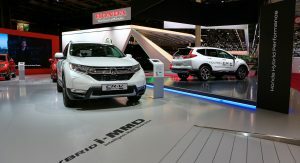 Power comes from Honda’s advanced Hybrid Performance system that combines a 2.0-liter i-VTEC petrol engine, two electric motors and an innovative single fixed-gear transmission, instead of the CVT usually found in other hybrid models. 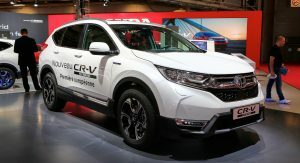 Honda claims that the Honda CR-V Hybrid’s direct transmission results in a smoother transfer of torque, making the powertrain more refined than that of its competitors. 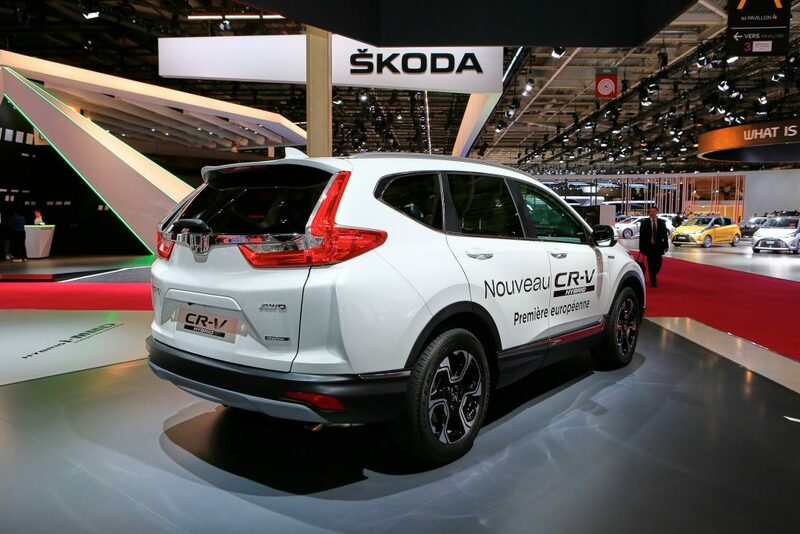 Combined output is rated at 181hp (184PS) and 232lb-ft (315Nm) of torque. 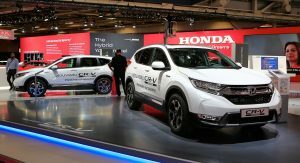 Fuel economy for the front-wheel drive version of the CR-V Hybrid is rated at 53.3mpg UK (5.3lt/100km) under the NEDC, while CO2 emissions are 120g/km. 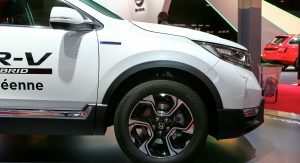 The all-wheel drive CR-V Hybrid returns a combined 51.4mpg UK (5.5lt/100km) and 126g/km of CO2. 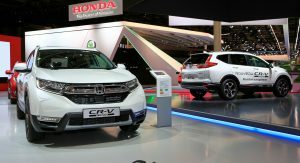 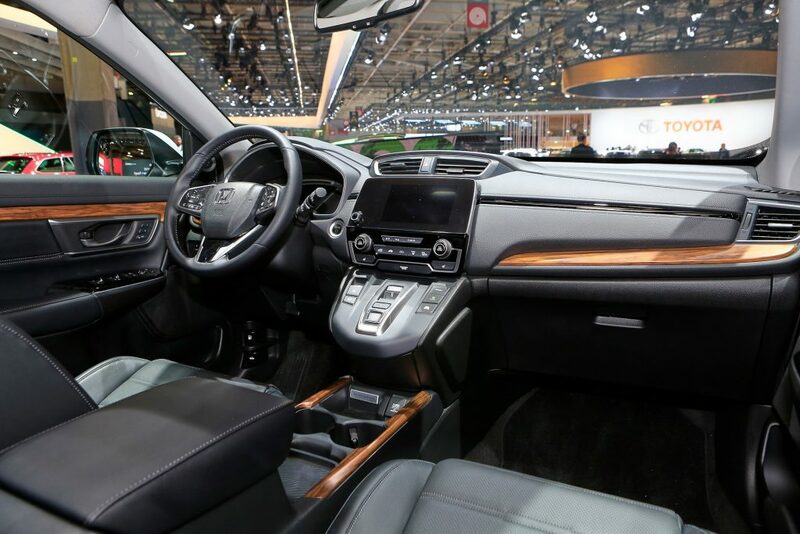 The new hybrid Honda CR-V also features a Multi-Mode Drive (i-MMD) system, which switches seamlessly between three driving modes -EV Drive, Hybrid Drive and Engine Drive- to achieve the best possible efficiency. 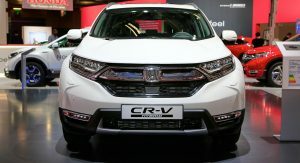 The new Honda CR-V Hybrid was displayed alongside the petrol models of the CR-V, as well as the new seven-seater version. 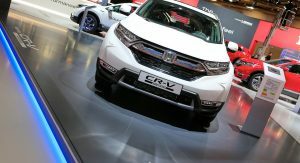 Honda says that order books for the new CR-V Hybrid in Europe will open this month. 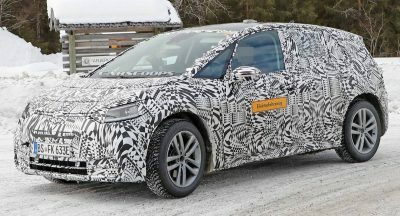 Im so happy this is coming with awd. 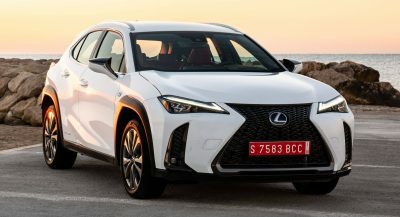 When does the US market get this? 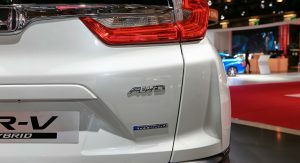 This is simply not true The Toyota CHR Hybrid has already been here, and still is! 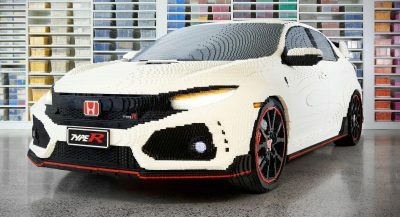 I see them almost daily in my autobahn commute to work. 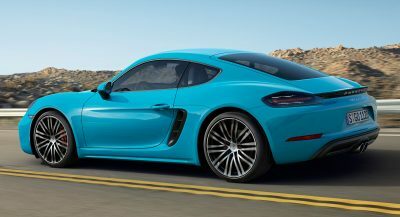 Usually on the A60 south of Mainz. 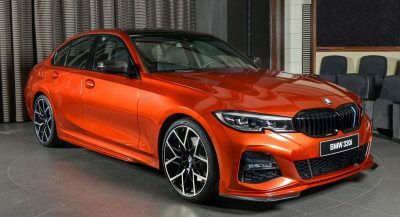 Previous PostPrevious Will The New BMW 4-Series Look Like This?